Case Tru-Sharp Surgical Steel Raspberry Bone Medium Stockman Folding Pocket Knife | BUDK.com - Knives & Swords At The Lowest Prices! 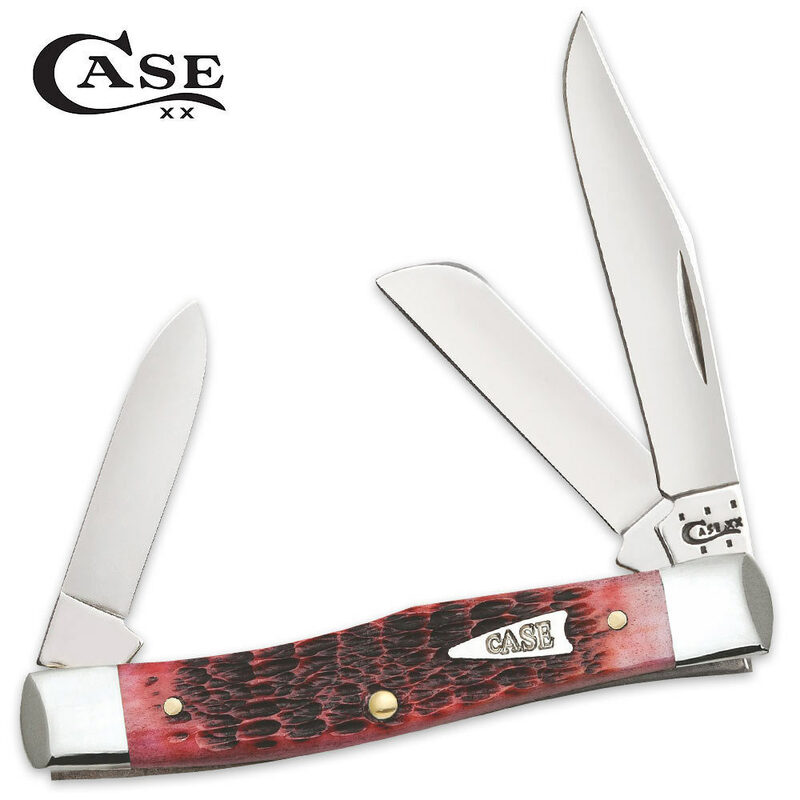 Beautiful hues of pink and red add a punch of color to Case's Raspberry Bone collection of folding pocket knives. Bursting with color, his handsome medium stockman knife features Case's signature mirror-polished Tru-Sharp surgical steel clip, sheepfoot and pen blades, which are hand-sharpened and ready for use right out of the box. Gleaming steel bolsters, an inlaid shield and shiny brass pins complete the jigged bone handle in exquisite fashion. The custom Rogers Jigging design of the genuine bone handle gives this stockman knife a woodsy, warm look and feel. It's a discerning choice for an everyday carry pocket knife. Best of all, it's made right here in the U.S.A.